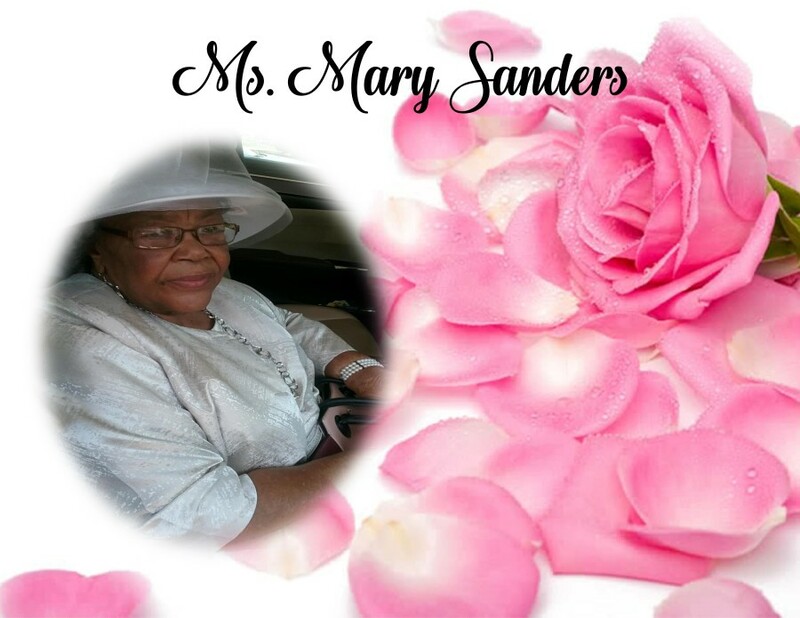 Mary Sanders, resident of Orrville, AL. gained her wings January 7, 2019. Services will be held on Saturday, January 12, 2019, at 12:00 p.m. at Greater New Hope Baptist Church with Rev. Johnnie Blunt, officiating. Interment will immediately follow in Greater New Hope Churchyard. Ashley's JH Williams & Sons Funeral Home extends our deepest sympathy to the Sanders Family.